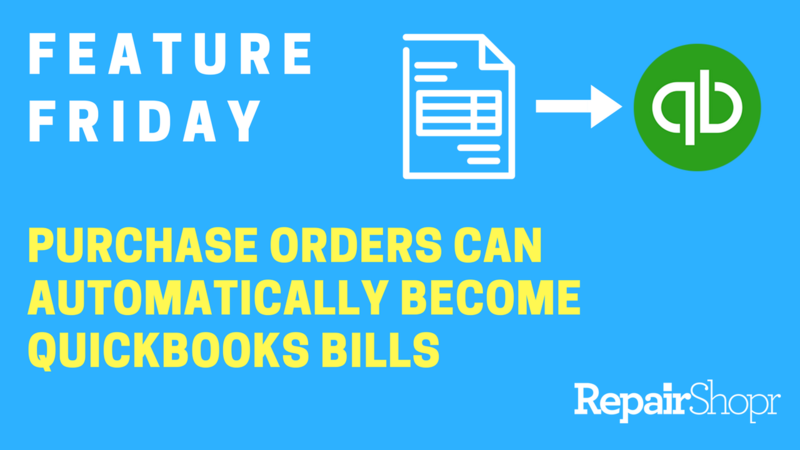 RepairShopr Purchase Orders can now automatically become "bills" in QuickBooks with the click of a button! Simply create a PO in RepairShopr and go through your normal processing flow. As our experienced QuickBooks users may know, upon creating PO in RepairShopr, a PO is also automatically created for you in QuickBooks. To enable this feature, make your way to the App Center section of your RepairShopr account and check-mark the option "Convert finished POs to Bills in QuickBooks" in the settings area. Pro Tip: A bill will not be created in your QuickBooks account for any Purchase Order status other than "Finished" (i.e. Open, Ordered, and Check in will not create a bill automatically). To learn more about how to set up our QuickBooks integration and to dive into all of the juicy details, please view our Knowledge Base article here. Please note that this feature is only available in Quickbooks Online. We hope this helps save you time in your day-to-day operations and look forward to hearing what you think!